How was your October? Did you do anything special for Halloween? I did A LOT of reading, working, and dressing up for Halloween. My several costumes included an adorable fawn, red riding hood, a Slytherin student, a vampire, and Wayne Campbell from Wayne's World. It was probably my favorite Halloween yet! Did you dress up? I'd love to know! This month we've got many exciting new releases for YA lovers. Ogre Enchanted by Gail Carson Levine, Fantastic Beasts: The Crimes of Grindelwald by J.K. Rowling, and Arch-Enemies by Marissa Meyer are among several of the titles I can't wait to dive into! Are there any November YA releases you're eager to read? Let me know! 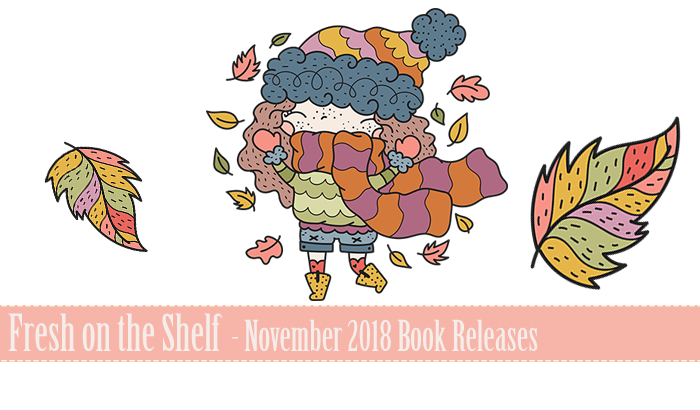 The giveaway is for one copy of a November 2018 book release of your choice at a value of $25CDN or under. I did dress up for Halloween. It has been years, but I was a witch! I didn't dress up, because that's not really a thing here, but I do own a Scaryface mask (from the movie Scream), because I love slasher films!